If you have children, you should have an estate plan in place. This is especially true for parents of a child with special needs. An estate plan that includes a will, living trust, powers of attorney and other provisions can help protect your child with special needs if you and your spouse die. Estate planning for a family of child with special needs is not just a special needs trust but also provisions in all of their estate plan documents. All of these documents must contain specially drafted provisions. For example, a will must nominate guardians, not just for minor children but also for guardian of an adult disabled person for the child with special needs after they turn 18. Further a revocable living trust must not only leave any share of the inheritance for the child with special needs to their special needs trust but it must also ensure that on the parent’s disability it does not become a resource for the individual with special needs. Also, Powers of Attorney and Irrevocable Life Insurance Trusts have very specific provisions necessary to protect government benefits. Special needs trusts are an important part of estate planning for parents of a child with special needs. A self-settled special needs trust is usually the result of money that the child has received directly through an inheritance or a personal injury lawsuit. A self-settled trust may be established by the individual with special needs, the parents, grandparents, guardians or the courts. Only the child with special needs can be the beneficiary. 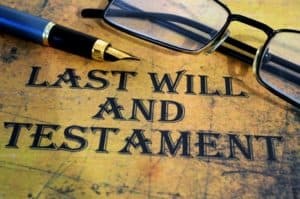 Self-settled trusts must include a provision directing the trustee, if the trust contains any funds upon the death of the beneficiary, to pay back anything the state Medicaid program has paid for the beneficiary. A third party special needs trust is usually established by the parents of a child with special needs who have assets that the child has no part of. A third party special needs trust is often used to hold an inheritance or a gift, yet still allow the child to qualify for government assistance. The assets in the trust are not given to the child, but rather, a trustee who can use their funds as needed for their benefit. There are no limits to how much money the trust holds.